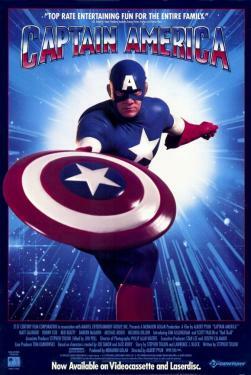 A super-soldier dons red, white and blue to fight the Nazis in this colorful movie based on the hero from Marvel Comics. Injected with a secret serum, WWII washout Steve Rogers (Matt Salinger) becomes a super-powered hero that takes on the Red Skull and his band of Nazi thugs. But when he's frozen in ice and thawed out almost fifty years later, Captain America must learn to live in a new world while stopping an attempt to kidnap the President of the United States.